After much uproar, Brooklyn Nine-Nine is back for a sixth season, and we have the latest trailer(s). Brooklyn Nine-Nine spent five seasons at Fox before getting canceled and then brought back to life by NBC. The Golden Globe- and Emmy-winning series premiered in September 2013 and ran for over 100 episodes before it came to a close on Fox in May. 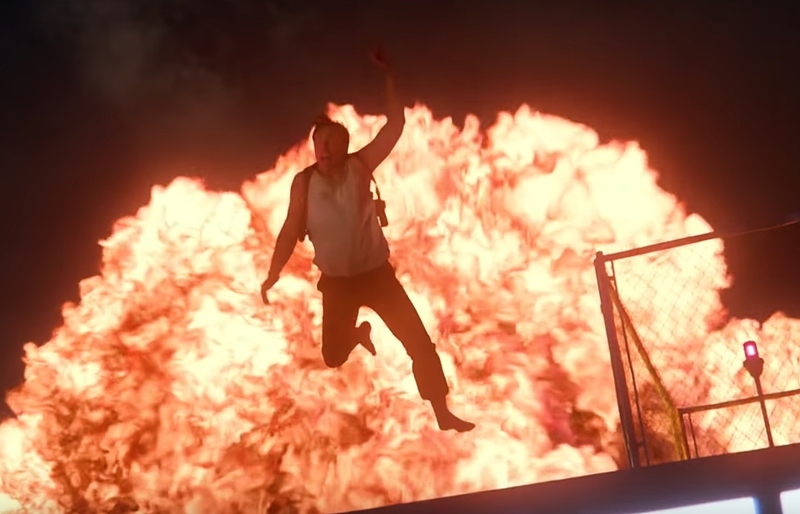 The trailer pays homage Andy Samberg’s beloved character, Jake Peralta, and classic action-movie tropes—think: helicopters, explosions, searchlights, hero worship and dramatic slow-motion. Jake saves his associates at the Nine-Nine by putting himself in imminent danger. He last-minute jumps off the building—pause for a moment of suspense—but manages to grab onto a nearby helicopter. Jake is safe, and his colleagues cheer his name from solid ground. Cut to the Brooklyn precinct, where Jake is explaining his proposal for a Nine-Nine recruitment video (with the aid of a mini-Jake figurine). All the action was in his head. Created, written and executive produced by Dan Goor (Parks & Recreation) and Michael Schur (The Office, Parks & Rec), the hilarious workplace sitcom also stars Terry Crews, Andre Braugher, Melissa Fumero, Joe Lo Truglio, Stephanie Beatriz, Joel McKinnon Miller and Dirk Blocker as eccentric but charming cops. Chelsea Peretti, who plays the cynical administrative assistant Gina, announced earlier this year that she will not return for the full sixth season. NBC released two versions of the season six trailer, with alternate endings. In the first, Peralta suggests that the team cuts Terry Jeffords (Crews) from the video to make space in the budget for his elaborate vision. In the second, Jake pokes fun at Captain Raymond Holt (Braugher) for likely preferring a “motionless screen with information being read in a monotone voice,” which manifests itself in the following solid black screen. Brooklyn Nine-Nine makes the leap to NBC, Thursday, Jan. 10, 2019, at 9 pm ET.